From his perspective as a journalist and a true fan, Bob Costas, NBC's award-winning broadcaster, shares his unflinching views on the forces that are diminishing the appeal of major league baseball and proposes realistic changes that can be made to protect and promote the game's best interests. 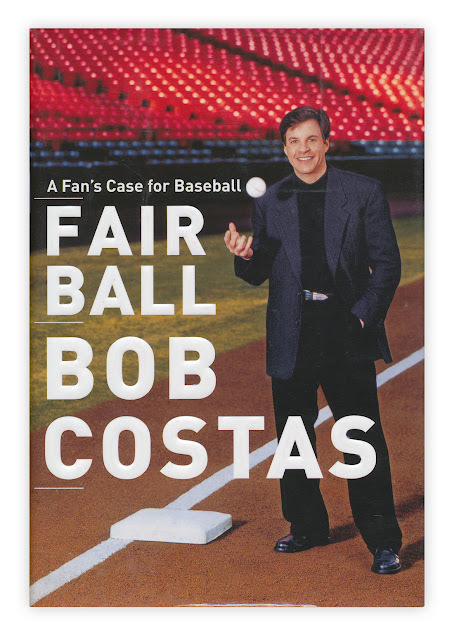 In this cogent--and provocative--book, Costas examines the growing financial disparities that have resulted in nearly two-thirds of the teams in major league baseball having virtually no chance of contending for the World Series. He argues that those who run baseball have missed the crucial difference between mere change and real progress. And he presents a withering critique of the positions of both the owners and players while providing insights on the wild-card system, the designated-hitter rule, and interleague play. Costas answers each problem he cites with an often innovative, always achievable strategy for restoring genuine competition and rescuing fans from the forces that have diluted the sheer joy of the game. Balanced by Costas's unbridled appreciation for what he calls the "moments of authenticity" that can still make baseball inspiring, Fair Ball offers a vision of our national pastime as it can be, a game that retains its traditional appeal while initiating thoughtful changes that will allow it to thrive into the next century. He just hosted a special on MLB network with LaRussa, Harold Reynolds and a few writer guys discussing those issues and more. Pretty interesting watch.